I found out about the DOTS GoFundMe that Jack Berberette is doing to purchase and use a Braille Printer to make braille games available for gamers through G+, and Jack was willing to answer some questions! Check his responses out below, and give the video he made about braille translation a view if you can! Tell me about your Braille printer project. What excites you about it? One of the things I've learned, after starting on this project, is that electronic equipment, learning materials, books, and more are beyond expensive for the visually impaired. 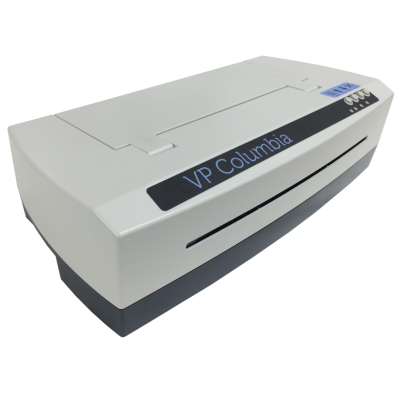 The braille embossing printer, for example, is normally $3,500 to $4,000 dollars (it just happens to be on sale right now). The bottom of the line printer is normally 2 grand! I'm sure I'm not alone when I say, "I can't afford that!" I translated (with some tweaks) The Black Hack RPG. The Black Hack is a FANTASTIC game system created by David Black. The game has been streamlined to a 6"X9" booklet with about 20 pages, give or take. A brilliant system put out there under the Open Gaming License. 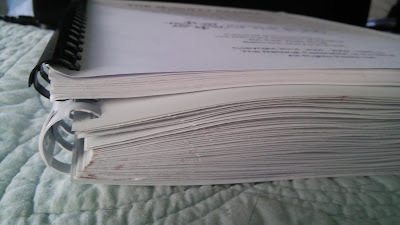 Anyway, the braille translation weighs in at about 80 pages. Now if you went to an office store and had an 80 page book printed and spiral bound it would cost $5 - $8 bucks tops. I reached out to a few companies and they wanted over $200 to make 4 copies of the book (spiral bound)! Now let me put this in perspective...while the printing equipment is expensive, the paper only costs 3 cents per page, and no ink is used in printing braille. Their material cost is about $1.75 if you include the spiral binding and thick front and back covers. It would only take about 30 minutes to print all four books and let's ad in another 30 minutes to clamp on the spiral binding. Even if the person was making $15.00 an hour and we add in the $7 for the four books....the total cost is $22. AND...this is a "non-profit", braille printing company...other places had comparable prices. What is so exciting about the printer, is that I will be able to print a duplex page for about 3 cents. This means that I will be able to afford printing a lot of things for free, or at cost depending on what's being printed. The Black Hack braille book, for example, I wouldn't charge anything but the few stamps it takes to mail it. ALSO, and this is freaking awesome, the printer will print 8 levels of tactile graphics and comes with a full suite a translation and graphic design software. This means that I can translate D&D 5e character sheets, Pathfinder Character sheets...any character sheet in to braille with tactile squares where the values are placed (Ability scores, hit points, etc.). The plan is to glue felt into the squares and then print out number chips with Velcro on the back so visually impaired players can fully and independently manage their character sheet. 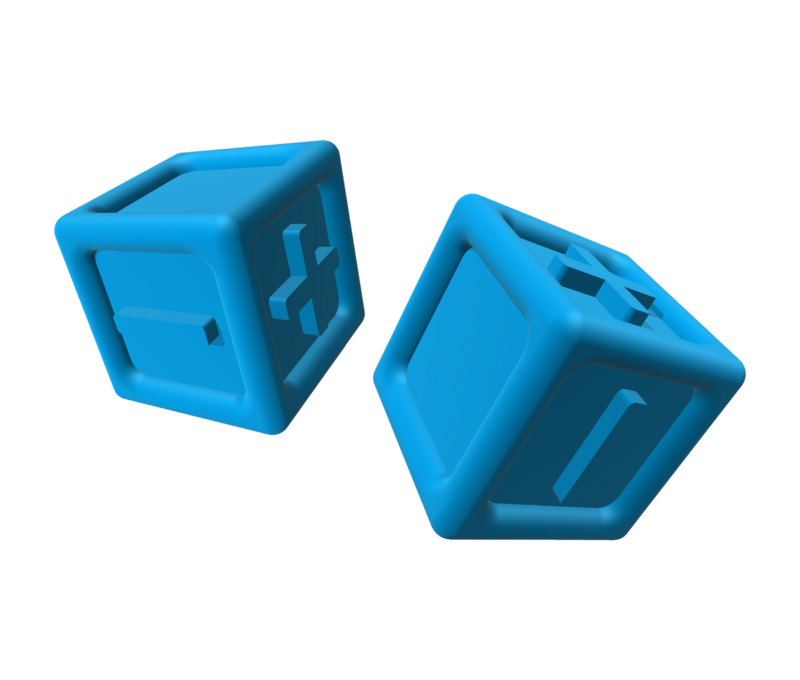 I can also printout dice labels and transform regular polyhedral dice into braille dice. I'm currently doing that but I have to, dot by dot, use a slate and style to create the numbers, then modge-podge them to each side of the die. With printed stickers, I could cut the out, slap them on then spray a poly protective coating. This would cut my time drastically and afford me the ability to make a bunch more sets which I give away for free! With the graphics capabilities of the printer, we can even add in tactile dungeon maps for the GM. How freaking cool would it be for a visually impaired GM to be able to actually feel AND read a map of a dungeon?! What excites me more than anything though is the thought of being able to have the equipment to put a game book in the hands of a blind player. Giving them the same excitement of flipping through spell lists in that frantic time before your initiative comes up...just like a sighted player. Enabling gaming independence so a visually impaired player can experience the full range of activities a sighted player does. LOL...I didn't realize just how excited I am about the printer until I typed all of that out. I'm very passionate about helping people and this printer will allow me to do wonderful things for the visually impaired community. What motivated you to translate into Braille? I was talking with my visually impaired gaming buddy one day. He has several World of Darkness Books, Changeling, etc. So I asked him one day what equipment he had at home, and basically he has a computer (without a braille reader because it's expensive) and an iPhone. (Here's a link to a braille reader so you can see what they do...they are nifty devices but are SUPER expensive). I brought up the books and asked how he "read" them...the answer broke my heart. He's never "seen" nor "read" a page of those books...he has an awesome gaming group that reads things to him from the book. I do want to say however, that this guy is a masterful GM and remembers EVERYTHING he hears and can point you to pages in the book from memory....he blows my mind :). Sorry...back to what I was saying, I asked him if he talked to other visually impaired people that were interested in tabletop roleplaying. He told me that he has had several people ask about how to get into it but had to explain to them that they needed a sighted player to take them in because there were no gaming materials accessible to them. That's when my furnace lit and I KNEW that something ha to be done. So I reached out to him and another friend and the project has taken off since then. I remember vividly my first gaming session...the magic that it instilled in me. I still carry that spark with me today and I'm almost 50. I want the visually impaired to be able to experience that as well...but with a feeling of independence. I want them to enjoy flipping through page after page planning their next move, how to design their character, to argue rules LOL! That's why I'm doing what I'm doing...and why getting these translation out there is so important. Have you tested this with any gamers who would find it useful, by putting the game in their hands? What type of games are you interested in translating? Are you sticking to traditional games, or would you be branching out into indie games like Dungeon World or OSR products like Lamentations of the Flame Princess? That's a great question and the short answer is ALL of them! Gamers are a very diverse group, so I'm hoping that we will be able to translate all sorts of RPGs. I love OSR games but I also love really cool things the indie designers are coming out with like Dreamchasers. I would love to see Savage Worlds, Tunnels & Trolls, D&D 5e, Gamma World, and more translated. But for now, I'm working with some indie game designers to translate their games (4 projects are in the works) as proofs of concepts. Once we have that process really fine tuned, I would like to put together a translation team and start taking on bigger projects....books from the heavy hitters like WotC, Paizo, and Green Ronin. The thing we have to be careful of is making sure we work directly with the companies so that we adhere to Intellectual Property policies. I've already translated The Black Hack by David Black, and I'm working on another Black Hack game called Kaigaku by Jacob Ross...this is a Samurai fantasy game! How do you want to get the translations to people - is the hope to put them in game stores, or sell them online? To start, we are raising funds for a braille embossing printer that will print not only duplex pages, but also tactile graphics. For games that are free, I'll print them for free or at cost and only charge shipping. If a game designer wants to make a braille version of their game available, I'll print it for them at cost and they can sell it to the customer. 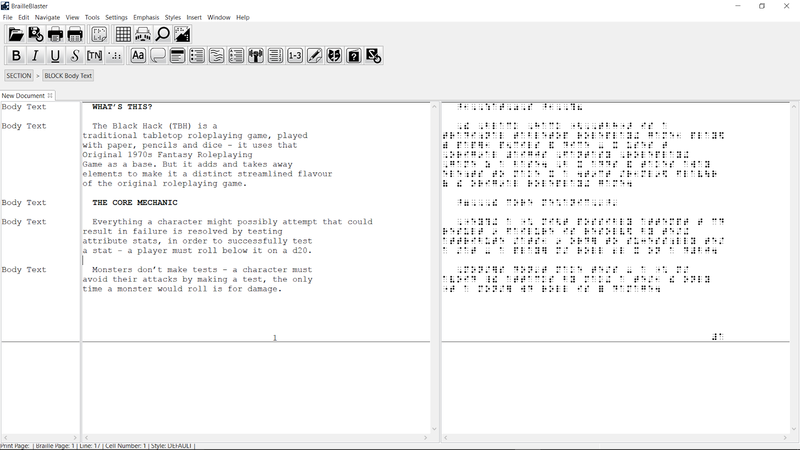 My ultimate dream is to raise enough awareness that places like DriveThru RPG have contracts set up with braille translators and printing houses so that braille books will be one of the options when purchasing from their site. Same goes for the industry heavy hitters! If any game designers are reading this please reach out to me! Let's blow open the doors of tabletop roleplaying games for the visually impaired! What do you think you would do for games that have supplementary materials like cards or dice or playmats - is that a someday goal? Well starting out I'm focusing on books and dice....basically using those as projects to raise awareness for game designers out there to see the need for accessible materials. But my end game is to raise awareness to the level where designing for the visually impaired becomes a normal part of the game design process, to include but not limited to dice, cards, playmates, character sheets, dice boxes. deck boxes, etc. What I want the gaming industry to realize is that there are a lot of gamers and potential gamers in the visually impaired community...and they need to be an equal consideration when games are designed. I was floored that in this day and age, there is almost a complete void of gaming materials for the visually impaired. How in the world did we overlook an entire demographic who would TOTALLY embrace tabletop gaming, if simply provided the materials to do so. I turn 50 in less than a year, and I have been gaming since I was twelve...it's a huge part of what shaped me into who I am today. I am dedicated to planting the seed that will grow into a thriving piece of the gaming industry. Come hell or high water, I'm going to make the gaming community aware of this need and will give every ounce of energy I have to seeing that need met. Get ready gaming world, the doors of tabletop gaming are going to be blown wide open for the visually impaired...just wait! Thanks so much to Jack for answering my questions and for his awesome initiative! According to the GoFundMe, the printer itself has been ordered, but Jack is aiming to get a 3D printer to print out dice as well, so go check it out! Keep up with what's going on with DOTS on their Facebook group, too!